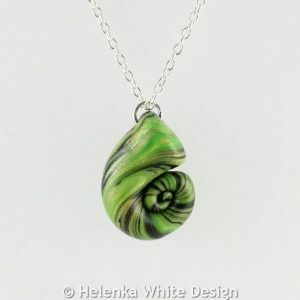 This small light green and black nautilus pendant has been handcrafted with polymer clay in light green, black and gold. 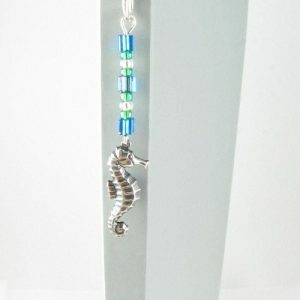 It hangs on a silver plated chain and closes with silver plated lobster clasp. 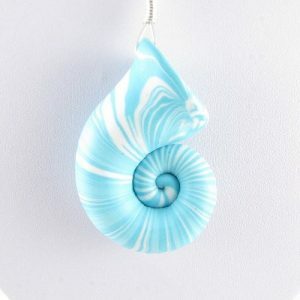 This small light green and gold nautilus pendant has been handcrafted with polymer clay. 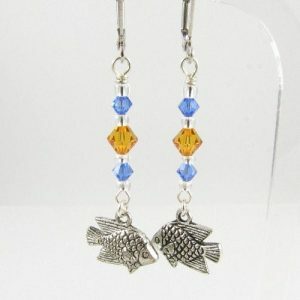 It hangs on a silver plated chain and closes with silver plated lobster clasp. 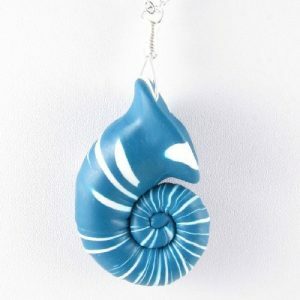 This small turquoise nautilus pendant has been handcrafted with polymer clay. 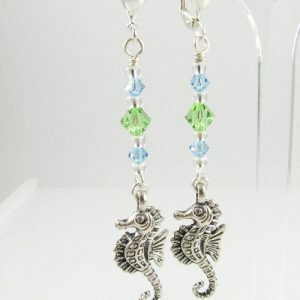 It hangs on a silver plated chain and closes with silver plated lobster clasp. 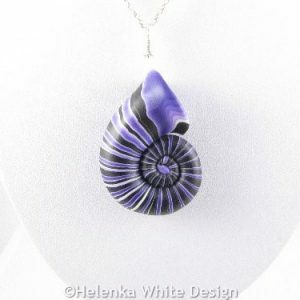 This small purple nautilus pendant has been handcrafted with polymer clay. 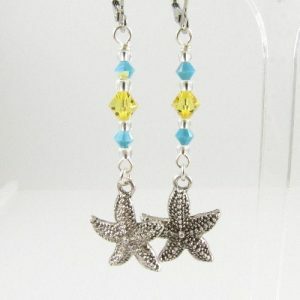 It hangs on a silver plated chain and closes with silver plated lobster clasp. 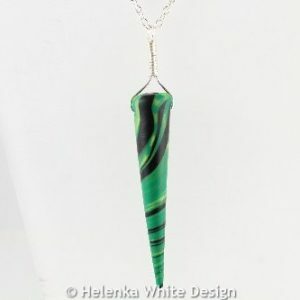 This dark green shell pendant has been handcrafted with polymer clay. 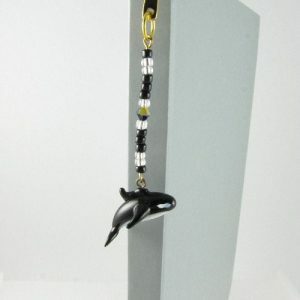 It hangs on a silver plated chain and closes with silver plated lobster clasp. 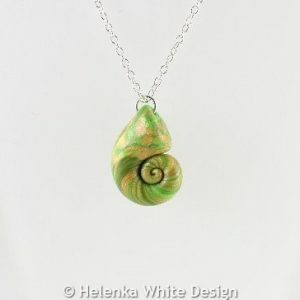 This light green shell pendant has been handcrafted with polymer clay. 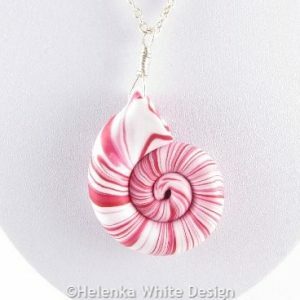 It hangs on a silver plated chain and closes with silver plated lobster clasp. 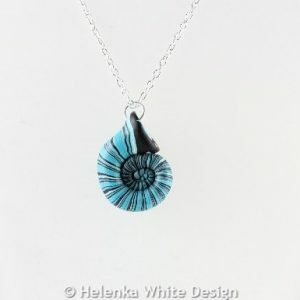 This blue shell pendant has been handcrafted with polymer clay. 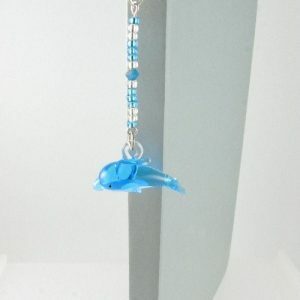 It hangs on a silver plated chain and closes with silver plated lobster clasp. 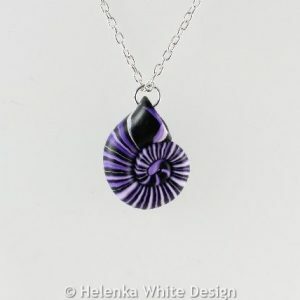 Handcrafted purple nautilus pendant made with purple, white and black polymer clay. The pendant hangs on a silver plated chain. 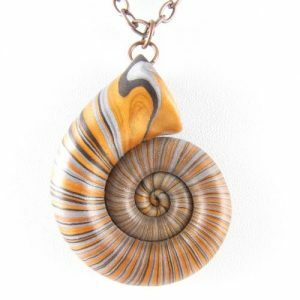 Gold nautilus pendant handcrafted with gold, silver and black polymer clay. The pendant hangs on an antique copper chain. 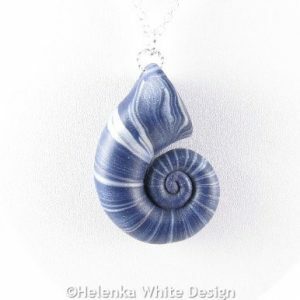 Denim nautilus pendant handcrafted with dark blue and pearl polymer clay. 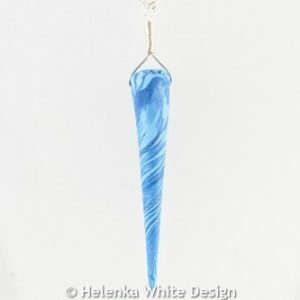 The pendant hangs on a silver plated chain. 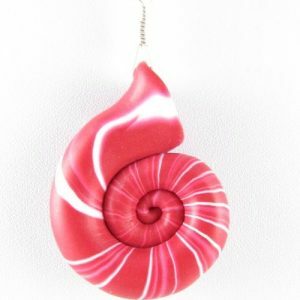 Red and white polymer clay nautilus pendant handcrafted with red and white polymer clay. 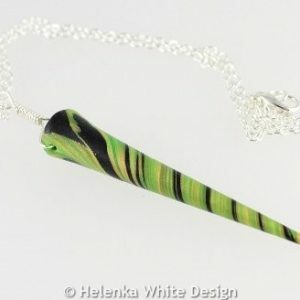 The pendant has a wire wrapped bail and hangs on a silver plated chain.